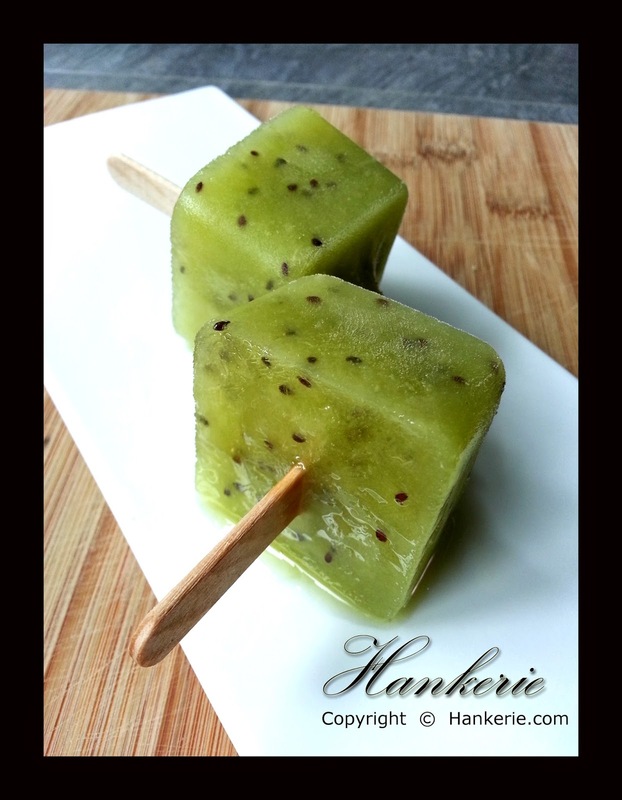 Since today's mission is making dessert, hence I make this mini kiwi Popsicle that is quite similiar to my previous Kiwi Popsicle. Last year, I combined two types of kiwis which are gold and green kiwifruits. This round, I only make the green kiwi popsicle. This is the usefulness of those overripe kiwifruits to be my hero for this dish. Take one or more ripe kiwi, add honey and water in a blender. Then pour in molds. If the kiwifruit is overly ripe, you can just use the fork to mash it rather than blender, as we need to avoid kiwi seed from broken down too much. The green kiwi recipe can be used with many other fruits, as long as the volume of fruit stays relatively similar — and feel free to add more honey if the kiwi is too sour. Dissolve manuka honey in warm water; pour into blender pitcher. 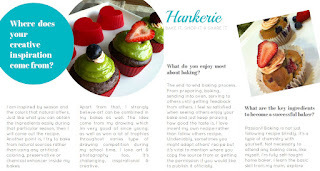 Add fresh green kiwi pieces into blender; blend into puree but do not overly blend. 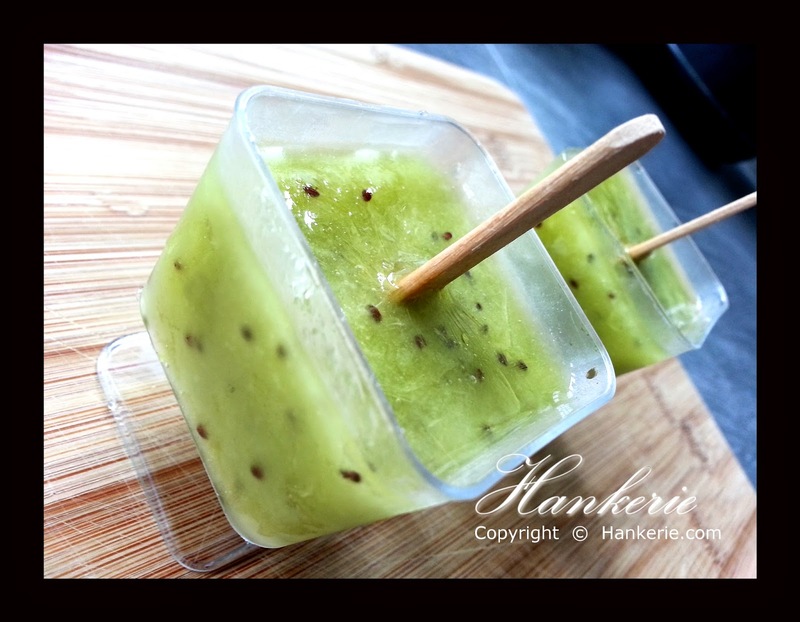 Pour green kiwi mixture into mini molds to about 1/3 inch from the top. Put the wooden ice cream stick in the middle for easier handling later while serving. You can opt this out if you want your guest to enjoy this using their spoon.